Giants swept the Brewers, Madison Bumgarner won and there were snotrockets. Who could ask for anything more? W, 6.0 IP, 5 H, 1 R, 1 ER, 1 BB, 7 K, 12 SNR (snotrockets): 0 vs. lefties, 10 vs. righties, 2 other. 1 pre-game SNR. 1 at-bat SNR. 2 double SNR. Madison Bumgarner’s most prolific inning was the 3rd in which he blew 4 snotrockets. 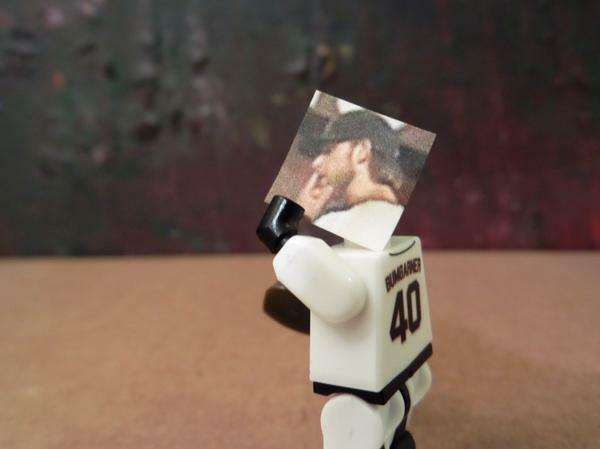 Bumgarner now with 362 snotrockets so far in 2014. Madison Bumgarner’s next start should be Saturday, Sept. 6, 2014 on the road vs. the Detroit Tigers. See you here or on Twitter for all the exciting snotrocket action.